Gainesville’s official New Year’s Eve party returns to Bo Diddley Plaza this year, but several clubs and restaurants will also have special celebrations as we say goodbye to 2016. There will be a full range of food and entertainment options available on Saturday night as downtown Gainesville prepares to ring in the new year. 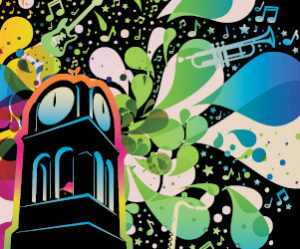 Most of the activity will be centered around Bo Diddley Plaza, where The Couch Messiahs and Wild Blue Yonder will provide a free concert beginning at 9 p.m. and continuing past midnight. 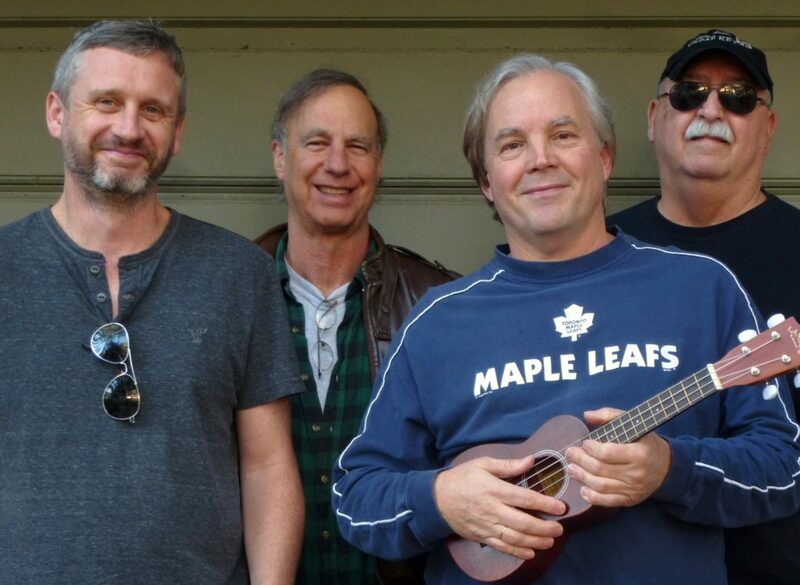 Downtown Countdown: The Couch Messiahs, a Gainesville-based rock-and-roll band, will pay tribute to the music of The Allman Brothers, The Band, Bob Dylan, Creedence Clearwater Revival, Neil Young and The Rolling Stones during a New Year’s Eve celebration concert at Bo Diddley Plaza, 111 E. University Ave. The evening begins at 9 p.m. with a performance by popular local band Wild Blue Yonder. Downtown Countdown begins at 9 p.m. and continues until midnight, when there will be a countdown to the New Year, along with the sounds of noisemakers, which are passed out to the audience earlier in the evening. The event is sponsored by the City of Gainesville Parks, Recreation and Cultural Affairs Department and WIND-FM. For further info on the concert, read our University & Main blog. Atlantic Nightspot/Arcade Bar, University and Main: The two venues are teaming up for the R.I.P. 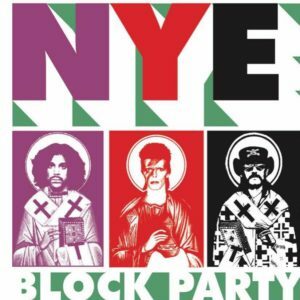 2016 NYE Block Party beginning at 9 p.m. The Atlantic, Arcade Bar and Alley (between them) will have live music sets dedicated to some of our favorite artists that passed this year, including David Bowie, Prince and George Michael. Ring in the new year with dancing, champagne and costumes as well as live spinning and tribute sets at all three venues. All bars will include brand new themed drinks. Complimentary champagne toast at midnight. (For ages 21 and over.) No cover. The Bank Bar & Lounge, 22 W. University Ave.: Enjoy drink specials at three separate bars, dancing and much more during a New Year’s Eve Masquerade Ball. Doors open at 9 p.m. Six DJs will be spinning all sorts of great music. The President’s Office and Bank Bar will be 18+ and playing all your favorite edm tracks and top 40 dance music. The Vault Lounge will be 21+ and keeping the throwbacks alive from the ’80s, ’90s and 2000s. There will be a free champagne/cocktail of your choice served at midnight. High Dive, 210 SW 2nd Ave.: The Duppies, Gainesville’s very talented rocksteady/ska/reggae band, headlines a New Year’s Eve party. The show also includes Danny Pynes (with band) and Bang Bang Zoom. Tickets $8 in advance/$10 at the door. 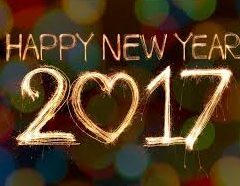 Loosey’s, 120 SW 1st Ave: Say “sayonara sucka” to 2016 and “hey babayy” to 2017 with a come-as-you-are party beginning at 9 p.m. No cover. Karaoke with DJ Wolftron. Sing, drink and dance the night away. $20 bottles of bubbly available. Free champagne toast at midnight. Maude’s Side Car Bar, 101 SE 2nd Place (Sun Center East): The New Year’s Eve Celebration in Lights begins at 6 p.m. and includes drink specials, free swag and a champagne toast at midnight. No cover. Rockeys Dueling Piano Bar, 112 S. Main St.: Doors open at 7 p.m. and the entertainment begins at 8. With each table purchase of $80-$120, guests receive a complimentary bottle of Chandon, reserved seating near the stage, the convenience to arrive anytime and table service for drink orders. Rockeys will offer a variety of hors d’oeuvres, appetizers, finger foods and munchies from various Gainesville restaurants to keep the party going long after the ball drops. Free champagne toast at midnight. Individual admission $10. Whiskey House, 60 SW 2nd St.: Indie pop/rock singer-songwriter Cami Lundeen will perform beginning at 10 p.m. The Whiskey House New Year’s Punch will be available for $5, as well as $6 Whiskey Sours and $3 mixed shots all night. There will also be shot specials when Lundeen is playing a specific song of her choosing. Free champagne for every guest when the ball drops. For further info, call 352.519.5534. The Wooly, 20 N. Main St.: Orchestra Fuego and DJ Wax Atom will perform throughout the evening. Doors open at 9 p.m. Tickets $25. (Ages 21 and up.) The event will include a champagne toast and catered food that includes cuban pork roast, black beans and plantains. Crane Ramen, 16 SW 1st Ave.: Crane and Madrina’s are joining forces for a Massive NYE Mash-Up Party featuring cocktails from T.J. Palmieri, Cuban-inspired sushi, sashimi, yakitori and tapas from Chefs Steve and Austin, and music from DJ Dr. Um. The all-inclusive party starts at 8 p.m.. Tickets are available at Crane Ramen for $85 (includes open bar, champagne toast anarcade d chefs’ special NYE menu). Downtown Wine & Cheese: 113 N. Main St.: Feast on a five-course meal with wine pairings during an RSVP-only private party for $55 per person. Wines with each course, gourmet cheeses, games, prizes, live music, midnight toasts and a photo “booth.” RSVP required. Call 352.222.1348. Dragonfly Sushi & Sake, 201 SE 2nd Ave.: Celebrate with a three-dish specials menu, special NYE drink and a free champagne toast at midnight. Join us for a Happy Ending (to 2016). Make reservations at 352.371.3359. Leonardo’s 706, 706 W. University Ave.: The restaurant specializing in Italian cuisine will be offering a New Year’s Eve Wine Pairing Dinner as well as its standard menu beginning at 7 p.m. The five-course Wine Pairing Dinner includes a caviar platter, shrimp cocktail, a salad wedge, an entree of Filet Mignon Bernaise or Yankeetown Grouper, and a dark chocolate souffle. Each course is served with wine or Champagne. $100 plus gratuity and tax. For reservations, call 352.378.2001. Paramount Grill: 12 SW 1st Ave.: A three-course meal, featuring six entree selections, will be available for $60. Price does not include beer, wine, bottled waters or specialty coffees. For reservations, call 352.378.3398. Piper Gi’s, 204 SW 2nd Ave.: The newly opened restaurant, specializing in hand-crafted sandwiches, soups, salads and side dishes, will be open until 3 a.m. to satisfy any post-celebration cravings. 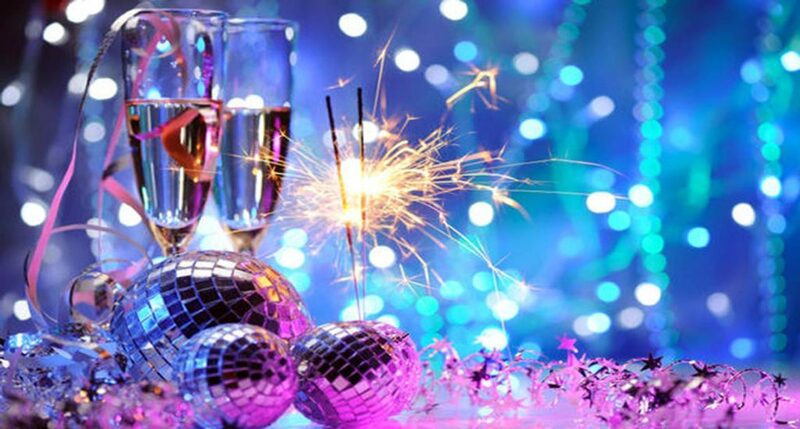 If your restaurant or club is having a special New Year’s Eve event that you want mentioned on this list, send an email to gainesvilledowntown@yahoo.com.